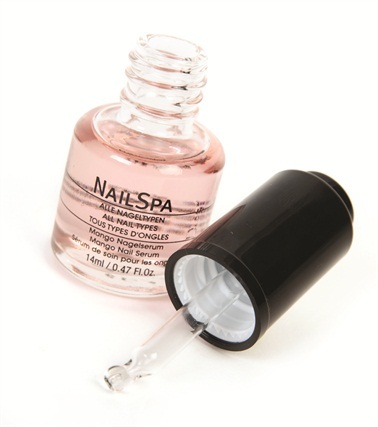 NailSpa by Alessandro International is an intensive nail care serum for all nail types infused with lotus and mango. It pampers skin with lotus extract, protects against cracked cuticles, and makes nails more elastic and resilient. Put one drop onto the nail and gently massage it in with a circular motion.